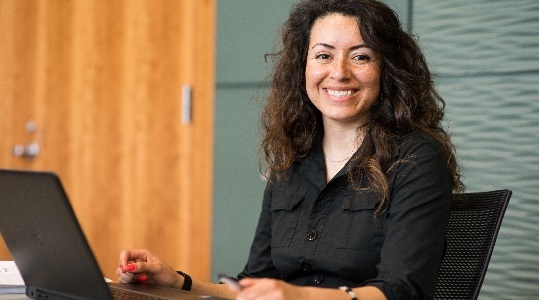 The Champlain College Online Business Management Graduate Certificate is designed to help you propel your career in business forward. Within the four courses comprising this certificate, you will learn and practice advanced management concepts with a specific focus on leadership and the global economy. Each 3-credit course will be completed over an 8-week term. This graduate certificate may be taken as part of the Champlain College Online MS in Accounting as an embedded certificate, or as a stand-alone certificate*. Because this certificate is comprised of the first four courses of the Champlain College Online MBA, it may not be used as an embedded certificate in that program. Recognize your personal leadership style and how that style impacts others as well as your organization. Note: Federal financial aid is only available for associate, bachelor's and master's degree programs. Stand alone certificate programs are ineligible for financial aid. Find all the admissions information you need about our online graduate certificate programs through the links below. Create an account and start your online application today! Champlain College will not share or sell personal information. Submitting this form constitutes your express written consent to agree to receive e-mails, texts, and phone messages from Champlain College at the phone number(s) and email address provided in this form. Your guide will download momentarily. If your guide does not appear, please click here.